Look, I realize that it’s January and the NFL season isn’t even over yet. 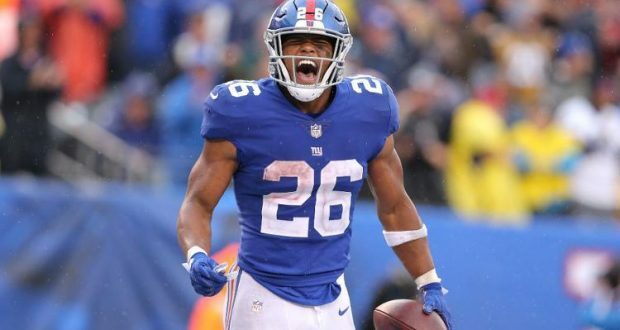 However, if you are anything like me, you had started to think about the 2019 fantasy football season as this season was over (possibly sooner). Given all of that, I grabbed a few of my friends to help simulate most “non-expert league” drafts. Favorite Pick: I have to go with DeAndre Hopkins. I think 7th overall seems really low for Nuk. I personally have him as a top 3 pick in a dynasty league, so this seems like a great value. 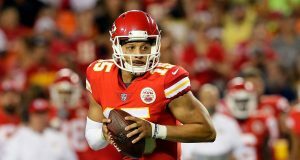 Least Favorite Pick: I know many people might say Mahomes here, but I have gone on record with my love for Mahomes (see previous articles). Instead, I’ll go with Nick Chubb. I think that Melvin Gordon and OBJ were the end of the top RB tier and top WR tier, so I kind of got stuck at the beginning of the tier 2 players. Favorite Pick: Joe Mixon is a guy that could sneak into the end of round 1 at the season’s start. He clearly has the job and it looks like they will have to feed him frequently due to the passing struggles at times for Andy Dalton. Least Favorite Pick I love Guice, but this seems really high. I think he could sneak into the end of round 2 if everything goes perfectly during the offseason and the OTA’s, but in most leagues he will likely be a round 3 or 4 pick. Favorite Pick: Keenan Allen is a guy that often goes under the radar. He consistently plays like a top 12 guy and is younger than most (including me) realize, being only 27 years old at the start of next season. Least Favorite Pick: Robert Woods seems like a reach. I think this season was his ceiling because he is arguably the 3rd best receiver on his own team going forward. He also never had a season over 800 yards in his 6 year career before his 1,219 this year. Favorite Pick: I think I have to pick TY Hilton. 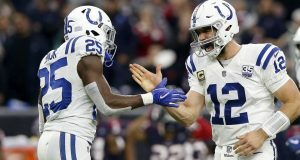 For the time being, he is the only consistent player at the position for Andrew Luck and will be a low end WR1 or high end WR2 for the next 3-4 seasons. Least Favorite Pick: The choice for me is Marlon Mack. I am very high on the guy and this could end up paying off, but the injury risk and the potential LeVeon Bell signing makes this pick tougher to swallow. Favorite Pick: I wouldn’t consider myself a Corey Davis truther, and in fact I have actually been a hater of his at times. However, I do think his upside is crazy high here. To get a player that could be a true WR1 in the 5th is crazy value. Least Favorite Pick: Doug Baldwin will be 31 for most of next season and has been very inconsistent the past couple of years. I would much rather have Landry, Godwin, Boyd, Mike Williams etc. ***NOTE*** Cam Newton was taken in this round before the news of his worrisome 2019 came out. Favorite Pick: Evan Engram has everything needed to be a stud. Grabbing him in the 6th round is a great upside pick. Least Favorite Pick: I’d have to say that Eric Ebron is probably my least favorite pick here. It’s not that I think the 6th round is too early, but it is more that he was taken before Evan Engram, Hunter Henry and David Njoku. We will see if Ebron was a 1-year wonder or if he stays as the top TE for Andrew Luck. Favorite Pick: After the first four rounds, you have almost no chance to find a top 10 running back. Damien Williams is the exception and he was taken in round 7!!! I get that there is risk and there’s a very real chance that he loses his job; but assuming what he showed the past few weeks is the real deal, this guy would be a league winner for this team. Least Favorite Pick: Trey Burton is a fine TE. My issue with him is 2-fold. 1) I expect Adam Shaheen to cut into his target share. 2) I think he is around TE10 –TE15 for most people so I would rather wait another 3-4 rounds and nab a TE there. Favorite Pick: I’m not going to belabor the Evan Engram point from above but the same applies here to David Njoku, only it’s in round 8. Least Favorite Pick: Rob Gronkowski is probably done. This is a case of seeing a big name still on the board and getting too excited. Favorite Pick: Jameis Winston has a chance to go off this year under Arians. He is a super high upside play with a cheap price tag. Least Favorite Pick: Duke Johnson is a guy that isn’t going to kill you, but I just never see a scenario that you’d ever play him in your line up unless you’re crazy desperate. Even in the event of a Chubb injury, I am not sure they would give him more than 8-10 carries. 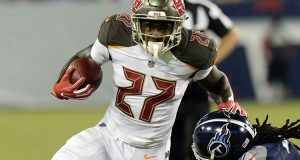 Favorite Pick: In a world where touches are king, TJ Yeldon has a chance as a free agent to sign somewhere, where he could be the lead guy in a committee. Least Favorite Pick: I’m just not sure what Dede Westbrook has to offer in Jacksonville right now. He is a talented player, but I expect the passing game to be bad for a while. I have listed below the rest of the final results for each team. Let me know which teams you like the most and which ones you’re not convinced of overall. Also, remember that this is just an early reference point and we don’t even have the 2019 rookies to look at yet. Happy Drafting!! !